I am Sappho. I have joined #prisoner106 as the ‘village lyricist’. I will be making periodic side trips out of the village to join the Bovine Fairy Tale Festival which officially begins today June 29. I see cross pollination potential, and so let the mash-ups begin! Fact: I resigned because I have been told that there are no loopholes. Fact: I resigned because I have been told that a still tongue makes a happy life. Fact: I don’t know how to maintain design integrity. Fact: I think; therefore, I am not a number. The Burgeron Family Reunion Digital Storytelling 106 Summer Timetable. Starts June 21. 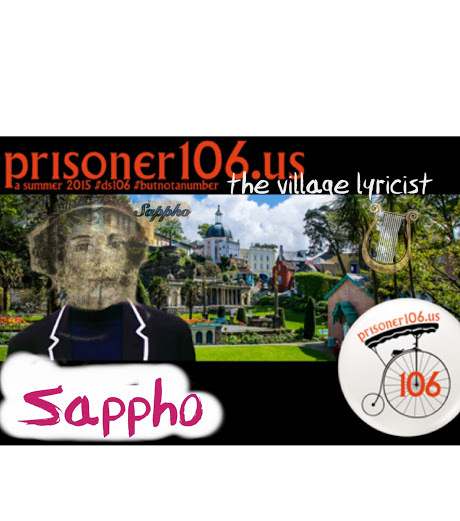 Watch for Sappho’s Lessons! Sappho’s Popcorn Maker Mashups made with Mozilla’s Webmaker Tools. Here are some examples of my mashups! My Popcorn Maker Burgeron Zumba Party in Bovine County. Here’s another Popcorn Maker I mixed to show you how much fun we’re gonna have. Here is a Popcorn Maker mash-up I made about the family reunion at the trailer in Bovine County, Texas. I am Sappho, but you can call me Sappy for short. My family always called me Sappy because I am so sentimental about things. I am going to the Burgeron family reunion this summer and thought that it may be a good time to tell some of my stories. You can find my stories on this blog. I left the family trailer in Bovine, Texas when I was 20. I left behind my younger brothers, Don and West, and my Ma and Pa- and the small town Texan life. There are many reasons for leaving home as a young adult and heading off for new adventures. You will notice that my brother Don is still chasing those damned cows of his just like he always used to. Me, I’m a writer now and that’s because there was always something calling me to do this, and I will tell you about that later. We’re going to have some crazy times at this reunion, so I thought I would see whether folks wanted some dancing or Burgeron Zumba lessons while working on other creative digital skills and writing skills. Why isn’t this page appearing as a page under Family Events which is where I put it? Darn, how do I get ‘Sappho on Storytelling’ to be a subset of Sappho’s Classes? I followed this but didn’t work. open Appearance => menus => add => move to location => save menu. Can’t seem to add my Sappho: ‘Weaving on the Web’ as a subset menu of Sappho’s classes.Under her Storytelling. What’s the secret? Janet, and thanks for your assistance!